Monarch butterfly on a tithonia bloom. Episode 14 of the Mid-American Gardener Podcast is now in full bloom! 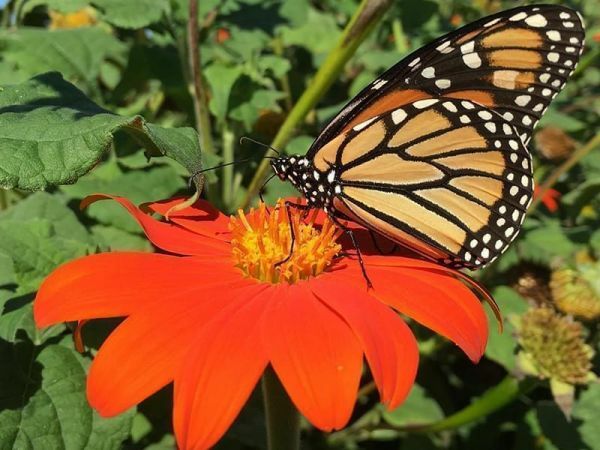 This week, host Victoria Shepherd met up with University of Illinois Horticulture Educator, Kelly Allsup, to talk everything butterflies. If you’re interested in creating your own little butterfly paradise, this episode is definitely worth listening to. You might even find out what Kelly wants to come back as in another life. From how to prepare your space, to what plants you should include to get the most visitors to your garden, Kelly has the answers.